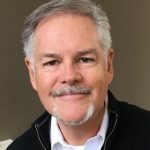 Dan Rupple’s unique strength lies in his ability to integrate the cultural insights of a media professional with the visionary voice and inspirational heart of a pastor. After years performing sketch comedy in Hollywood clubs, Dan’s three-man team came to faith in Christ in 1977 and formed the pioneering Christian comedy team Isaac Air Freight where Dan wrote and produced eight top-selling comedy albums, numerous syndicated radio and cable TV programs, and performed in over 1200 live concerts. Isaac Air Freight’s pioneering trail is chronicled in the upcoming feature documentary release, Isaac Air Freight: Legacy of Laughter. Dan entered network television in 1990 as the Supervising Producer of The Price Is Right for CBS Television and over the next ten years supervised productions of The Late Show with David Letterman, The 49th Emmy Awards, and countless other CBS network news, sports and entertainment programs. In 2002, Dan’s interest in the new medium of digital media led him to create over 150 branded entertainment videos and serve as Head of Programming and Development for five iTV companies. Dan is founder and Honorary Chairman of the national Christian Comedy Association, has served as an advisor and adjunct media professor at his alma mater Biola University, and is a contributing member of the Windrider Film Forum at the Sundance Film Festival. The International Foursquare Church ordained Dan in 2006. After being at the helm of Seriously Funny Entertainment, a creative development company specializing in faith & family comedy entertainment, Dan is now the CEO of Mastermedia, an international organization that facilitates relationships between media leaders and the Christian community at large. Its purpose is to be an up-lifting influence in the entertainment industry by touching the lives of media gatekeepers and mobilizing a global prayer effort for them. Dan is uncannily happy being married to Peggy, his wife of 39 years, and together they celebrate three married children and seven wonderful grandkids. Peggy worked alongside her husband early on in his media career as a stage manager, booking agent, make-up artist, voiceover talent and radio co-host, and currently partners with him as Associate Director at Seriously Funny Entertainment. For over 10 yrs. Peggy was an account executive and corporate trainer within the fragrance industry, being awarded Givenchy’s Account Executive of 1998. 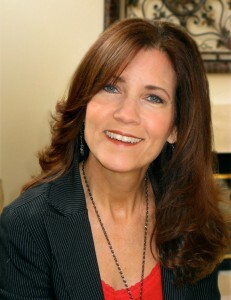 Peggy joined Biola University’s film program in 2003 as a coordinator of special projects and events. Under her early direction, the Christians and Media Conference name was changed to the Biola Media Conference, escalating in scope and influence. Held annually on the CBS Studio Center Lot, the Biola Media Conference is now considered the largest national conference for Christians working in mainstream Hollywood media. Peggy was also the Program Coordinator for the Biola Cinema and Media Arts Capital Campaign effort, raising 3 million for the 2009 renovation of the Production Center and was a Biola CMA adjunct instructor, directing the Biola Sundance Off-Campus Program and the Biola Media Seminar Course. Currently, Peggy is Associate Producer of the Windrider Forum, an annual Conversation of Film and Culture at the Sundance Film Festival. Married to Dan for 39 years, Peggy is a proud mom to three cherished children and their spouses, and has fallen hopelessly in love with her new role as Grandma to Mason, Karli, Liam, Jase, Zayden, Declan and Rowan.